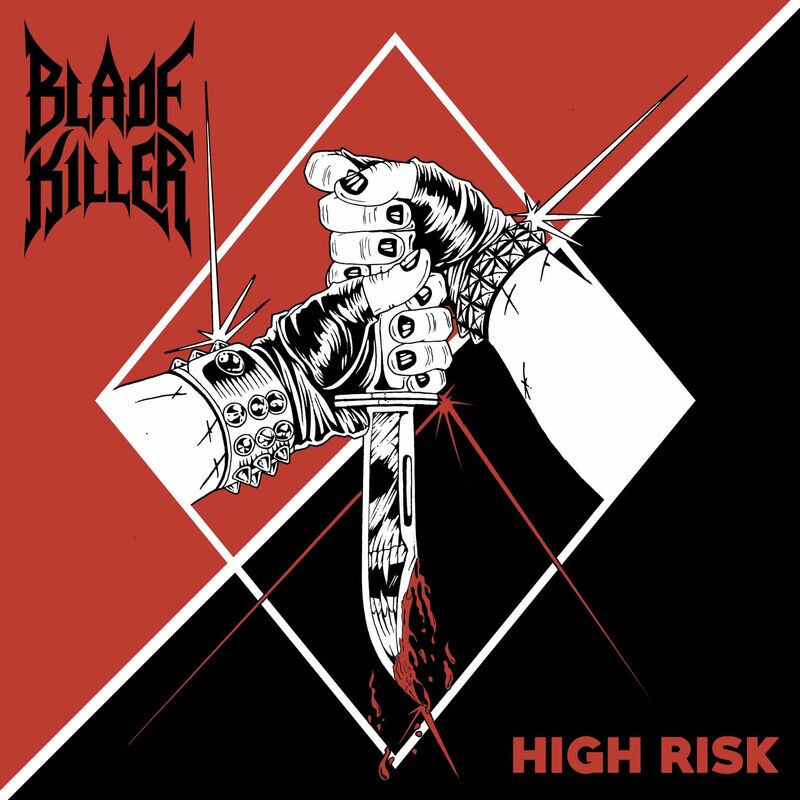 The up-and-coming traditional metal quintet BLADE KILLER – recently hailed by their hometown LA Weekly as Los Angeles’ “best new old-school metal band” – has unveiled a second track from their highly anticipated full-length debut, High Risk, due out Nov. 23 via M-Theory Audio. A visualizer video for the song “Midnight Sinner” can be seen below. Featuring a strong NWOBHM (and particularly, Di’Anno-era Iron Maiden) influence, High Risk is an eight-track, 29-minute ripper sure to please fans of pure heavy metal. The album was recorded by Allen Falcon at L.A.’s Birdcage Studios and mixed and mastered by Enforcer vocalist Olof Wikstrand (Tribulation, Cauldron). The cover art, seen above, was designed by noted tattoo artist Alex Matus. High Risk is available for pre-order on CD, cassette and limited-edition black-and-white “split” vinyl. Digital pre-orders, which will include an instant download of the title track, are underway now on Bandcamp and M-Theory Audio’s online store. BLADE KILLER has earned a strong following in Southern California through their energetic live performances and classic-minded metal anthems. The group has shared the stage in recent months alongside the likes of Eternal Champion, Sumerlands, Thor, Evil Dead, BAT, Exmortus, Hell Fire, Grim Reaper, Voltax and Spell. In addition, the group recently performed the inaugural Los Angeles Strikefest and the Swedish festival Muskelrock. A hometown record release show for High Risk will be announced shortly.